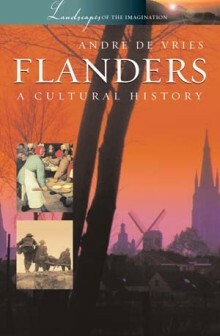 Famous for its cemeteries and monuments, Flanders has witnessed war and bloodshed on a colossal scale. Divided between Belgium, the Netherlands and France, this low-lying expanse of land has also known religious conflict and linguistic division. At the crossroads of northern Europe, its fields and cities have been marked by great battles and appalling loss of life, from Waterloo to the carnage of Passchendaele in 1917.But Flanders also has another history, one of wealth and artistic creativity. An autonomous region under the Counts of Flanders, it became a medieval trading powerhouse, famed for its cloth industry. Great cities commemorate this period of plenty, while churches and abbeys testify to the power of Christian faith. André de Vries explores the varied landmarks of Flanders, both rural and urban, to reveal this region’s unique character. Considering great cities such as Ghent, Antwerp and Bruges, he traces the development of a civic culture based on both trade and ideas, in which religion and language play a vital part. Looking too at the Flemish countryside, he explains the role of festivals and folk culture, gluttony and pleasure, in the survival of a strongly local identity. LAND OF WAR: Religious divides and martyrdom; the Duke of Marlborough and Napoleon; trench warfare and the war cemeteries. LAND OF FAITH: Medieval mystics and ornate abbeys; Reformation and counter-Reformation; the Gothic legacy. LAND OF ARTISTS AND WRITERS: The Flemish Golden Age; Bruegel and Rubens; Zola and Maeterlinck, realist and symbolist. ANDRÉ DE VRIES, a native of Ghent, is a writer and translator with a particular interest in Flemish. He is the author of Brussels (Signal, 2003).